Scientists have recently confirmed, yet again, that long-term lack of oxygen in cells is the key driver of cancer growth. Who says so now? 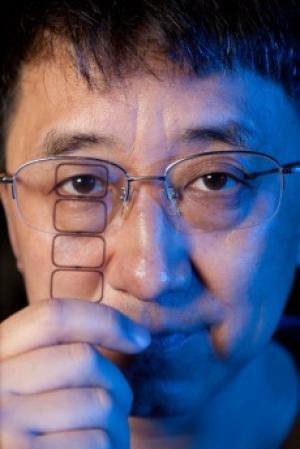 Dr. Ying Xu, Regents-Georgia Research Alliance Eminent Scholar and professor of bioinformatics and computational biology in the Franklin College of Arts and Sciences. Every doctor learned back in medical school all about Dr. Otto Warburg’s discovery in the 1930s when he discovered the main biochemical cause of cancer, or what differentiates a cancer cell from a normal, healthy cell. So big a discovery was this that Dr. Warburg was awarded the Nobel Prize. Cancer has a primary characteristic by which it can be measured. “It is the replacement of normal oxygen respiration of the body’s cells by an anaerobic [i.e., oxygen-deficient] cell respiration,” said Warburg. 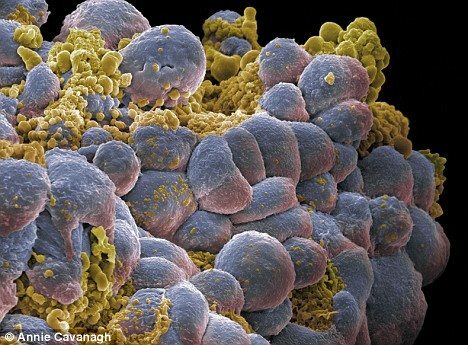 This tells us that cancer metabolizes much differently than normal cells. Normal cells need oxygen. Cancer cells despise oxygen. Another thing this tells us is that cancer metabolizes through a process of fermentation. The metabolism of cancer is approximately eight times greater than the metabolism of normal cells (that’s why they love sugar so much) but Warburg forgot to tell the world—not only are the oxygen levels low but so are carbon dioxide (CO2) levels. And he did not tell a soul that by breathing too fast (as most people do) they are getting rid of too much CO2 and that is what is driving down the oxygen levels to the point that cells turn cancerous. When we do not address this key driver it does not matter what we do—cancer will come back and kill us. 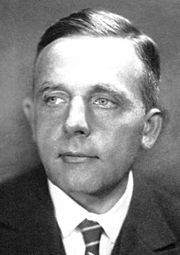 Otto Warburg was telling us that the cellular metabolism of cancer cells matches closely those of yeast or mold or fungus—that is, the cells ferment sugar/glucose/dextrose rather than oxidize it via the cellular mitochondria. So it follows logically that the same medical approach that successfully targets cancer would do the same for these yeasts, molds and fungus. Warburg had only part of the story and no one has put the finishing chapter in so we can finally come to rest with a full understanding and appreciation of what we are facing when cancer knocks on our door. 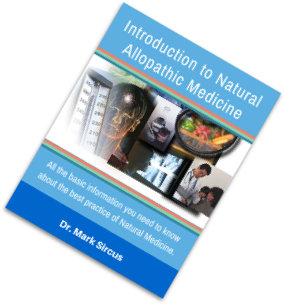 Natural Allopathic Medicine approaches the core problem of oxygen from many directions at once. Dr. Lesley Walker, Cancer Research UK’s director of cancer information, said, “For a long time scientists have been looking for ways to boost the oxygen supply to tumors to improve response to treatment.” He was referring to treatment with radiation, but this would apply very much to a whole range of natural treatments. If lack of oxygen is a key driver of cancer growth then so is low CO2, pH and depressed cell voltage. Some doctors have used the observations of Otto Warburg to treat certain forms of cancer as the human body’s reaction to a fungal infection. (See Dr. Tullio Simoncini “Cancer is a Fungus”). 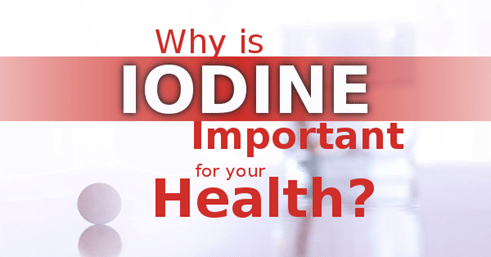 By using simplistic anti-fungal substances such as sodium bicarbonate (baking soda) for internal cancers, and tincture of iodine for external cancers, Dr. Simoncini has successfully treated many patients without adverse side effects. Simoncini reasons that a rapidly growing fungal colony is difficult for the body to combat, and so as a result, the body just encapsulates the infections within tumorous cell growths. By attacking and killing the underlying fungal infections, the need for the encapsulating tumor cells is gone, so the body just re-absorbs the tissues, leaving healthy tissue untouched. 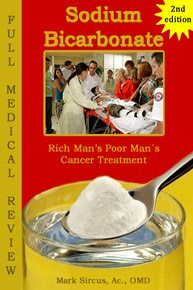 What Dr. Simoncini forgot to tell the world is that his treatment with bicarbonate not only goes after the fungal/cancer cells but it also powerfully and instantly raises CO2 and oxygen levels in the blood and tissues. And he also did not see that sodium bicarbonate can be used orally and transdermally in baths, used in enemas as well as in nebulizers for strong systemic effects that easily replace his much more difficult intravenous methods often using special IV ports for entry. Oncologists continue to be baffled by the unpredictability of cancers cells. Even after “seemingly” effective treatments, crafty cancer cells are able to hide out in patients and then resurface later on. This should come as no surprise since doctors treat neither the underlying cause of cancer nor the conditions that cancer cells love. It’s known that low oxygen levels in tumors can be used to predict cancer recurrence in men with intermediate-risk prostate cancer even before they receive radiation therapy, so why don’t doctors use methods of raising oxygen in their treatment against cancer? Dr. Milosevic and colleagues measured oxygen levels in 247 men with localized prostate cancer prior to radiation therapy and followed them for a median of 6.6 years. Low oxygen in the tumors predicted early relapse after radiation treatment. It was also the only identified factor that predicted local recurrence during follow-up. 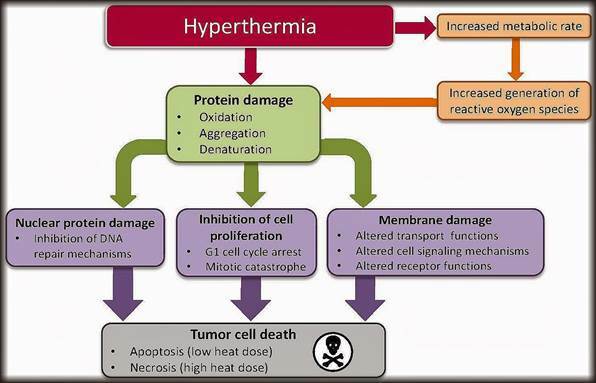 Luckily we do not need new drugs to target hypoxia in tumors. Sodium and potassium bicarbonate do the job nicely for less than the least expensive pharmaceutical in the world. And if we add breathing retraining to slow down our rate of breathing we can drop oxygen as well as CO2 and pH bunker bombs on cancer tumors 24 hours a day, seven days a week with very little cost. This is the kind of medicine pharmaceutical executives should greatly fear. Groundbreaking: Slightly increasing the oxygen supply could strengthen blood vessels in breast cancer cells like these. Professor Gillies McKenna, director of the UK-MRC Gray Institute for Radiation Oncology & Biology, said: “We are very excited to have uncovered this brand new approach to cancer treatment where the drugs prime the cancer cells for radiotherapy. You might expect that by increasing an oxygen supply to tumor cells you would help them grow. But actually by oxygenating the cell with a better blood supply we enable radiotherapy and chemotherapy to do a better job of killing them.” The research was published in the journal Cancer Today and again we see that oxygen therapy increases one’s chances of winning the war on cancer. Many studies have measured the link between oxygen partial pressure in cells (or expression of hypoxia inducible factors, their concentrations) and appearance, growth and metastasis of tumors.,, They found that low cell oxygen controls all these factors, including survival of patients. 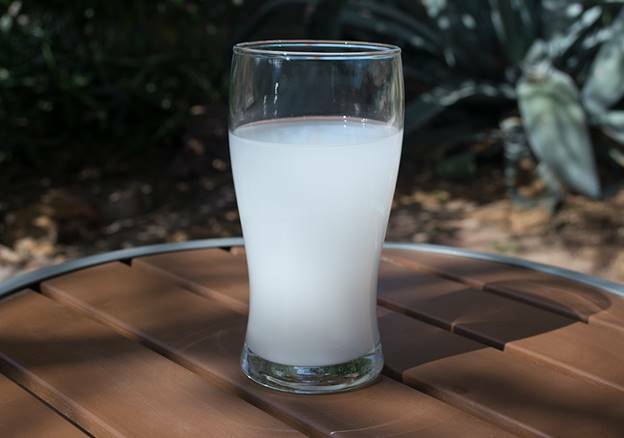 Lowly baking soda (sodium bicarbonate) acts much like a bunker buster bomb—it blasts cancer with shock waves of oxygen and CO2 thereby increasing cell voltage and raising pH into the alkaline range without harming the host. Hypocapnia (lowered CO2) leads to reduced oxygenation of all vital organs and tissues due to fast superficial breathing, vasoconstriction, and suppressed Bohr effect. The Bohr effect explains oxygen release in capillaries or why red blood cells unload oxygen in tissues. The Bohr effect was first described in 1904 by the Danish physiologist Christian Bohr (father of famous physicist Niels Bohr). Christian Bohr stated that at lower pH (more acidic environment, e.g., in tissues), hemoglobin will bind to oxygen with less affinity. Since carbon dioxide is in direct equilibrium with the concentration of protons in the blood, increasing blood carbon dioxide content causes a decrease in acid pH, which leads to an increase in affinity for oxygen by hemoglobin. This is exactly how sodium bicarbonate works. It increases CO2 levels in the blood. Injecting oxygen into cancerous tumors significantly boosts the chances of recovery, scientists at Oxford University say. 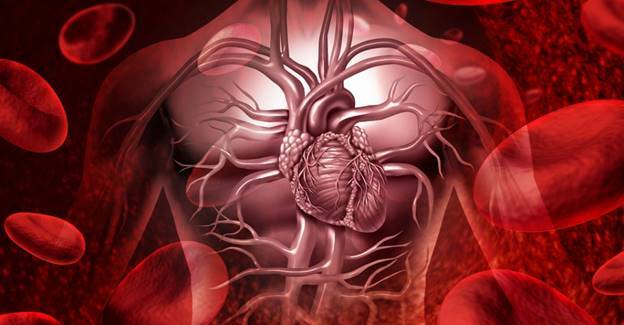 They found that increasing the supply of O2 strengthened blood vessels in cancer cells, making chemotherapy more effective. In a series of experiments on mice, cells that were damaged and weak had a constricted oxygen supply and were less sensitive to radiotherapy treatments. Cancer cells have a lower pH than surrounding tissue. Researchers have investigated the very reasonable assumption that increased systemic concentrations of pH buffers would lead to reduced intratumoral and peritumoral acidosis and, as a result, would inhibit malignant growth. It has been shown that increased serum concentrations of the sodium bicarbonate (NaHCO3) can be achieved via oral intake. 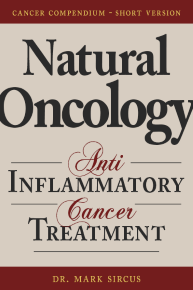 Researchers found that consequent reduction of tumor acid concentrations significantly reduces tumor growth and invasion. There has been work going on, using bicarbonate (baking soda) as a potential treatment for cancer. Dr. Robert J. Gillies and his colleagues at the University of Arizona have demonstrated that pre-treatment of mice with sodium bicarbonate results in the alkalization of the area around tumors. This type of treatment has been found to “enhance the anti-tumor activity” of other anticancer drugs. Bicarbonate increases tumor pH and also inhibits spontaneous metastases. To doctors who are reading this essay, and especially to oncologists, just because you have a license to practice medicine does not mean you have license to ignore the truth and to change your recommendations for the treatment of cancer. This essay presents overwhelming evidence that no one can, in good conscience, ignore. Rockwell S, Oxygen delivery: implications for the biology and therapy of solid tumors, Oncology Research 1997; 9(6-7): p. 383-390.